As summer begins we are pleased to attend several conferences. These events provide us the chance to engage with prospective and current clients highlighting opportunities for us to help them, and confirming that now is the time to invest in compensation management solutions (See our latest blog entry). We have found renewed interest and excitement for DBSquared most recently at World at Work - Total Solutions 2011 in San Diego and Blair's widely attended and well-received virtual seminar for HR.com last week. Arkansas Industry Liaison Group (ILG) in LR (June 15). 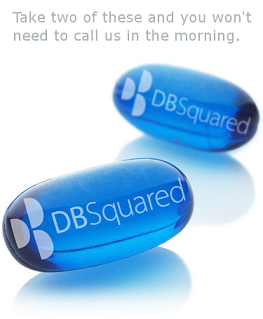 We have several recent blogs at DBSquared.